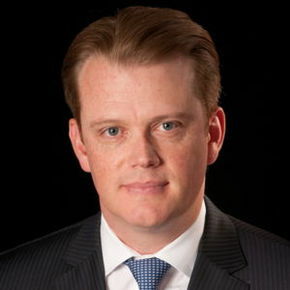 Darren Chaffee joins CoBe Capital as Managing Director, Global Mergers and Acquisitions. He is based in New York City. New York, NY – CoBe Capital, a private investment firm focused on the acquisition and management of non-core business units, announces today a key addition to its executive management team. Mr. Darren McKenzie Chaffee joins CoBe Capital as a Managing Director, Global Mergers and Acquisitions. Mr. Chaffee will be responsible for leading all business development and investment activities for the firm, including deal origination, investment valuations and structuring, due diligence, execution and portfolio operational strategy. Mr. Chaffee is a seasoned private equity investor with over 10 years of principal investing and investment advisory experience. Mr. Chaffee has held positions with Pegasus Blue Star Fund, Platinum Equity and Deloitte’s Mergers and Acquisitions Services group. “CoBe Capital continues to up its game. With the addition of Darren, we add a leader that has proven international M&A experience,” stated Neal Cohen, Founder and Managing Director at CoBe Capital. With the addition of Mr. Chaffee and his deep financial and accounting skills, CoBe Capital continues to build out its in-house resources with complementary skills, now including business development, M&A, transition, legal, real estate, finance and operations. “I see the market for corporate divestures in the small to mid-market range as a niche space that is ripe with opportunities, both here in North America and across the Atlantic in Europe,” said Darren Chaffee. “My first order of business is to improve our European strategy, begin evaluating international M&A opportunities and add further M&A business development resources that will focus exclusively on continental Europe,” added Darren. CoBe Capital, a global private investment firm with a permanent capital base and operations in North America and Europe, delivers M&A solutions to meet the specific needs of corporate sellers looking to divest non-core operations. CoBe Capital owns and operates a diversified portfolio of companies that design, manufacture and market innovative products and services. Each of its portfolio companies strives to achieve long-term growth based on lean and continuous improvement business philosophies. CoBe Capital was founded by Neal Cohen in 1994. For more information on CoBe Capital, please visit cobecapital.com.